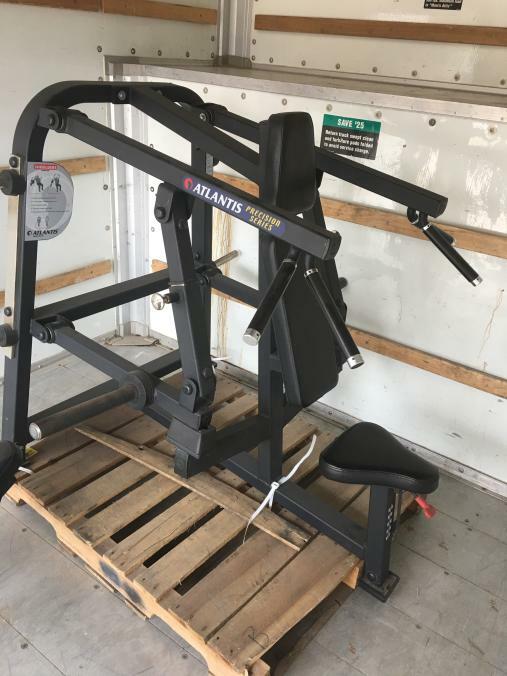 Atlantis Hack Squat/ Calf Raise - Plate Loaded - C-423? Atlantis Curved Bench - Old School - Not sure the model number? Life Fitness Synergy 360T with Heavy Stack, Dip Station, Jump Platform, 2 Pull Up Stations, Landmine, speed ropes & TRX Station. Might add a heavy bag instead of one of the pull up stations. The man cave is now all gym lol. Looking for a bicep curl, standing leg curl, maybe a pit shark belt squat? Last edited by solarfuel; 04-01-2019 at 08:39 PM. 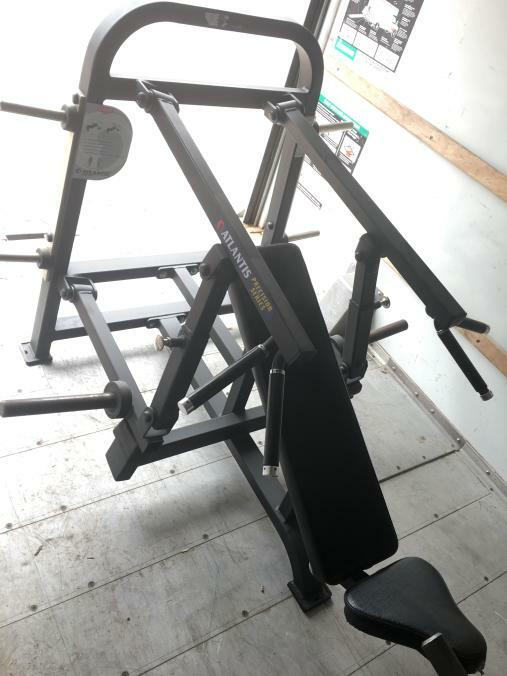 Multi -Exercise machine for sale . Let me know if you’re interested and I’ll put you in touch with him. Tbh, I purchased all of the equipment recently. Most of it because of recommendations from this thread. I have been renovating a property for 3 years, and finally made it to the basement. It has been a workshop/storage this whole time, but will be finished in about 2 weeks. I always planned on putting in a gym, but after finding this thread the sf has tripled. I consider my self “brand loyal” when I find a good one, it seems Atlantis was one of the best for a long time and the used stuff can be purchased for pennies on the dollar if you hunt. Eventually I would like to try some Panatta stuff, but I am fearful I will want to “upgrade” some pieces if they are as awesome as healthnut makes them out to be. Nice. How much refurb are you going to do. Machine enthusiasts may be interested in some new iron equipment coming out of the workshops of the German Gym80 company. The Austria based Intelligent Strength crew has recently posted a set of videos introducing a new line of machines from the Gym80 company. For better or worse the line is dubbed the <<GYM80 Pure Kraft No Bull**** Line>>. Typing <<Intelligent Strength No Bull**** Line>> into the Youtube search bar & scrolling down will unveil some of the new machines in this line as demonstrated at FIBO 2019. I'd probably replace the questionable hardware and relube the bushings. If the paint really bugs you, powdercoating it might cost about $100-200. You would lose the labels though. The Incline and Leg Press look incredibly built and very well thought out. Looks great! Like nothing we'd ever get here in the States from one of the big companies like a Life Fitness. Why are all the good plate loaded pieces coming out of Europe? Other than Prime and maybe Arsenal, we don't have anything remotely close to being innovative if we're talking about the larger manufacturers. Drilling for the best, 1 5/8" OD, 3/4" Bore, Ball Bearings... Fits right on a Stainless 316, 3/4" shoulder bolt (original shoulder bolt size). Unquestionably the best method.